Blue Blue My World is Blue. Isn’t Johnny Mathis great? 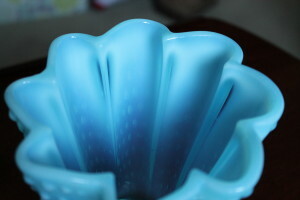 Anyway my hubby picked up this pretty blue vase at a local flea market. He was told that it was Nova Scotia glass. I have to admit that I was doubtful. 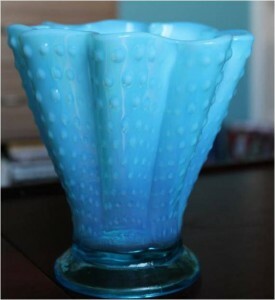 As it turns out it was identified on the wonderful Elegant and Everyday Glass Forum. 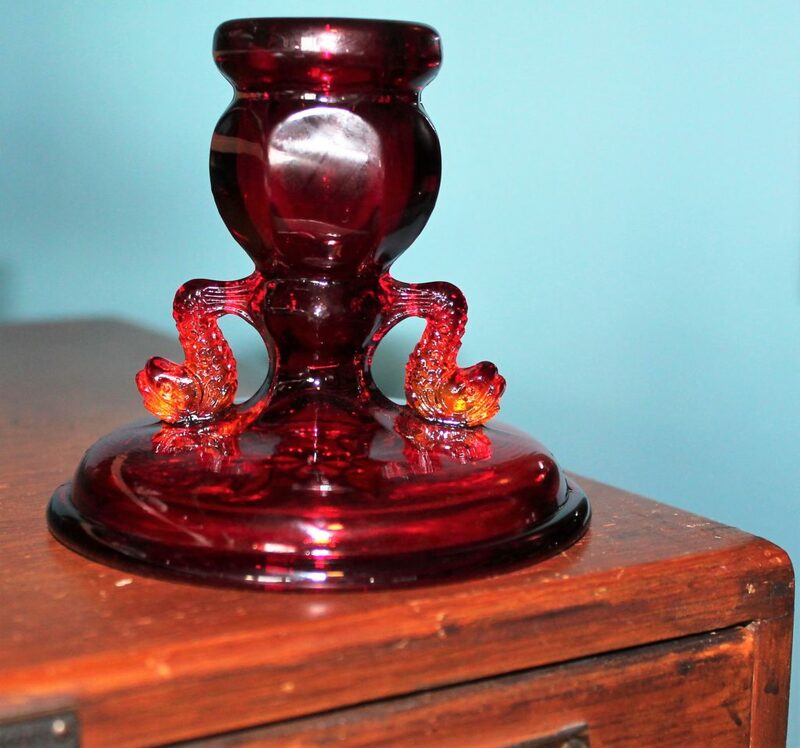 it is a ’30s piece of Fenton. 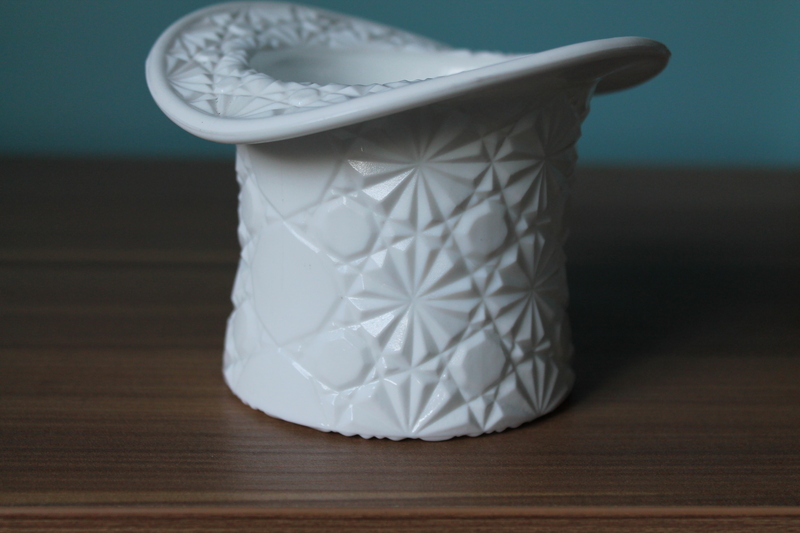 I was told that it was originally a bowl from line #844 which was swung and hand shaped into this vase, line #847. The colours and opalescence are very pretty, even if it WAS made in West Virginia and not Nova Scotia! I have no idea why I bought this. It isn’t really something that appeals to me at all. 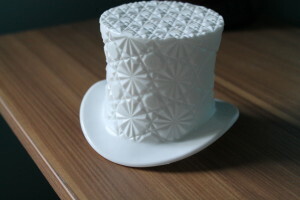 But over the years I have seen these top hats and thought they were cute. I guess finally I saw one at the right price (can’t recall what that was). This is large enough to put a teeny plant into. I won’t be doing that. I have had two indoor plants for years, and that’s all the greenery that I can manage to maintain! The “Daisy and Button” of course refers to the pattern.